A ccused of being grumpy. N ot to mention, smiles. Living on a farm meant more than a long bus ride to school each day; and black dirt meant more than messy shoes after a spring rain. Rich soil, the foundation of plentiful harvests. Potatoes, peas, green beans, and corn. Tomatoes, carrots, onions, and squash. More fresh produce than one family could consume in a season. Thankfully, canning and freezing what we couldn’t consume meant we had “fresh” produce long into the winter. left me with few takers. of that, there’s no doubt. in our big front yard. I’d read a book with Dotty. to look for kitties in the mow. older, the gap closed, and sisters became friends for life. Growing up on a farm, one learns at an early age, the cycle of life and death. Kittens born in harsh winters don’t always survive. Calves and piglets grow up to be sold at the market. Dogs that roam the countryside beyond the farm’s fences sometimes do not make it across the road. Even the people we love eventually no longer sit at our table or hold us on their laps. that’s where my eyes are brightest, and my smile, the widest. Rural Iowa living meant spending a lot of time in relative isolation. Six miles of gravel road to the nearest town (population: 450); forty-five miles to the nearest mall–and McDonald’s. This meant almost any trip off the farm was, indeed, a trip. Yet, every summer we anticipated that coveted week away. We visited what was in driving distance—Paul Bunyan State Forest and the headwaters of the Mississippi River in northern Minnesota; the Badlands and Black Hills of South Dakota; the Wisconsin Dells; and points all across Iowa. History was learned. And made. These trips were some of the best days of my childhood. The names we always hear. Star athlete, I was not. before they took the court. to cheer on my classmates. Hard work comes with benefits. I didn’t like his nature hikes. I have his appreciation of nature. I was annoyed by car trips. I see with his eyes as I drive the open roads. I thought he didn’t care. I know he showed love in his own way. I thought we would never be close. I know it took hard work to get there. I thought he’d always be here. Thank you, Walt and Marie for hosting us here at PB. The encouragement you both provide is appreciated and cherished. Thank you, Walt, for the prompts…it took me a while to decide to tackle the memoir project, but I’m glad I did. It was a great exercise in taking a focused look at a specific era of my life. And Walt — the cover art you created is just perfect. It brought tears to my eyes today to see how perfectly you captured in art what I had compiled in words. Thank you. And to everyone who has read and commented on my poetry here at PB these past two years — thank you for your encouragement!! Beautiful from cover to finish! Lovely, Paula!!! I wish I knew you then. Oh my goodness…house on the hill took my breath away…so many lessons and beautiful qualities you’ve poetically expressed here; what an amazing memoir you’ve produced, Paula. ♥ Thank you for sharing! Paula, this was such a tender, kindly view of the farming life and the power of place on the heart (heartlands, indeed). Even the forms you chose and wrote so well were effective and touching. I loved it all, girl. Lovely, Paula… I soo admire the strength that comes through your words!! Thank you, so much, for sharing your life!! 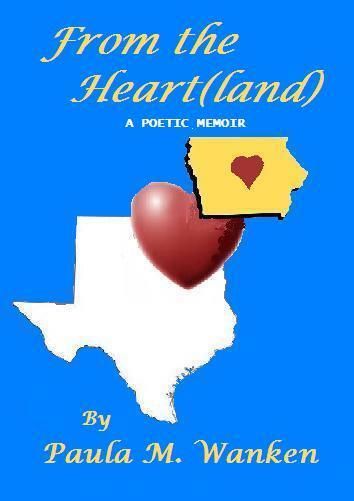 A charming poetic memoir, Paula. Oh, Paula … your “Who Am I?” had me smiling and wishing we were seated across the table from each other again. This little piece set the tone for the rest of the chapbook with its down-to-earth, transparent self study. So very you — how can we help but love it? 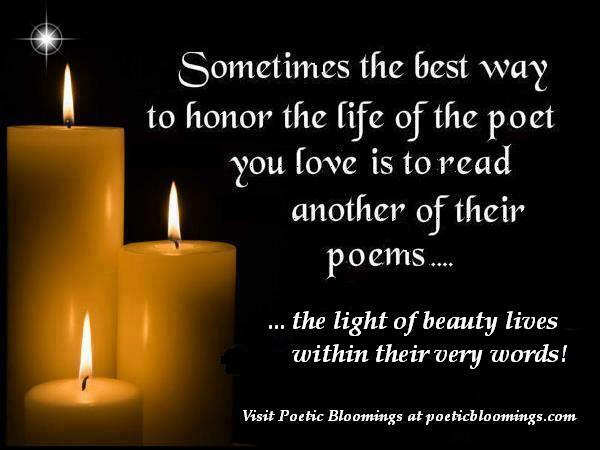 Each poem tinged with solemn gray tones carries with it the element of pale, soft yellow that radiates your sincere warmth of heart. You are loved, lady poet. Paula, you packed a lot in such a few words. I loved the word play of Produce(d) on a farm. The end of House on the Hill came with sudden sadness. Your MY OWN LITTLE WORLD could have been a sad dirge, but instead it was creative fun. Well done. Nicely done Paula! Enjoyed reading these snapshots of your life. Being a Midwesterner in SW South Dakota (grew up in NW Iowa) can relate so well to all of these, except; I never would have made any kind of “Student Award”). Congratulations Thanks for sharing this. We’re about 25 miles from O.C. Tulip Festival this weekend. In all my years there, I didn’t stick around for the festival. Graduation happened and they herded us out of there so they could use campus housing for people coming in for the festival. And I haven’t been back there since I graduated! Paula, I’ve always envied your ability to say so much in the fewest words (as opposed to my long winded rants), but I am pleased to see you branch into a more varied battery of form for this project. You should be the inspiration for those who wished to submit their memoir, but missed the prompts. You put the effort in to go back and complete it. And quite well, I must add. A great collection from down home. Loved working with it. Walt. Paula, I don’t know where to begin. These are precious poems, all. I’ll just name a few favorites: Produced On A Farm; Life and Death; Mama Mia; Just A Matter of Time. I so enjoyed this collection, Paula.